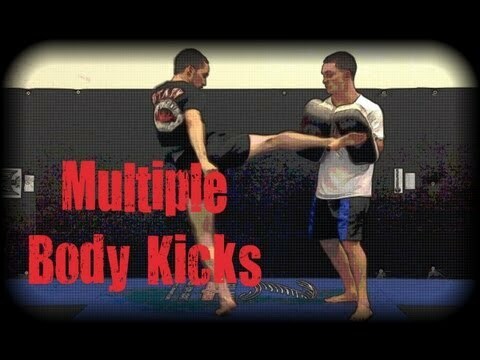 Info about "Horizontal knee kick video"
The horizontal knee kick (kao tad in Thai) is used for targets like ribcage and trunk. The move requires the boxer to grasp and pull one side of his opponent’s neck with one fist and raise the knee to the level of the aiming target and thrust it sideways to hit the target. The knee move has to be parallel to the floor making it horizontal. There are two way to do this move. First by using the rear horizontal knee and the other is to use the lead horizontal knee.